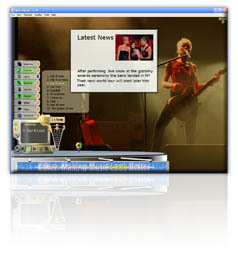 Simply play your music files or CDs with the CDizz Player and watch various multimedia content related to your music. Enhancing music is just the beginning. By getting both official and user-generated content, you actually connect to a social network based on your taste in music - your musical network.